Another week has come & gone, seriously it flashes by! View from my desk at work! ♥ Shopping! - I have bought quite a lot this week (you could see a haul vid coming up) I need to seriously stop & start buying some Christmas presents for people! But i'd be stupid not to take advantage of an Elemis Today's Special Value on QVC & 25% off Shu Uemura wouldn't I? ♥ Dresses - I have officially decided the outfits I love to wear the most are little cute dresses with tights & cute little shoes & a cardi for work, really flattering & easy. So I am on a quest to buy lots of different dresses. At the moment i'm wearing 2 pairs of tights it's so cold but Marks & Spencers 100 denier tights are AMAZING! I don't feel cold at all but when I take my tights off my legs feel freezing! They're magic tights!! ♥ Time to myself - up until last night I didn't see my boyfriend for about 2 weeks & although I missed him I loved having time to myself ie. SLEEP! half past 10 bed times has done me so much good! Today's sad face has been my Blog! 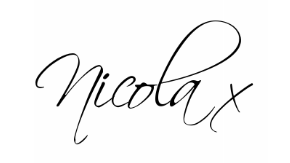 I bought my domain apparently a year ago & google didn't email me to let me renew it & thankfully someone informed me on Twitter that it wasn't working so I managed to finally sort it out after a bit of a panic & I should be back to www.Nicolavc86.com in a couple of days fingers crossed!! How's your week been? enjoying the snow as much as me! !